Jean Jones was only a toddler when the NHS came kicking and screaming into life on 5 July 1948. But she immediately became one of its first patients as she had what turned to be a rare cancer called histiocytosis. It had caused permanent damage to her kidneys, lungs and pituitary gland and meant she was constantly in and out of her local hospital, The Christie in Greater Manchester, in the early years of the health service’s life. She has remained under the care of the hospital ever since – and even now has regular check-ups and still has to take hormone drugs. She says she owes the health service her life – and her treatment even inspired her to dedicate her career to the NHS, because she went on to become a nurse. “Before the NHS came along you had to pay for everything. I’ve had a lot of treatment over the years. I don’t know if I would have been able to afford it. Her memories of her early treatment are quite hazy – she was only 20 months old in 1948. But she says all the nurses were “very nice” and remembers her mother bringing in her ration book to give sugar coupons to the women who made the tea “so they could buy sweets for the children”. After finishing school she worked as a hairdresser for three years, but then retrained as a nurse, eventually specialising in surgical nursing. 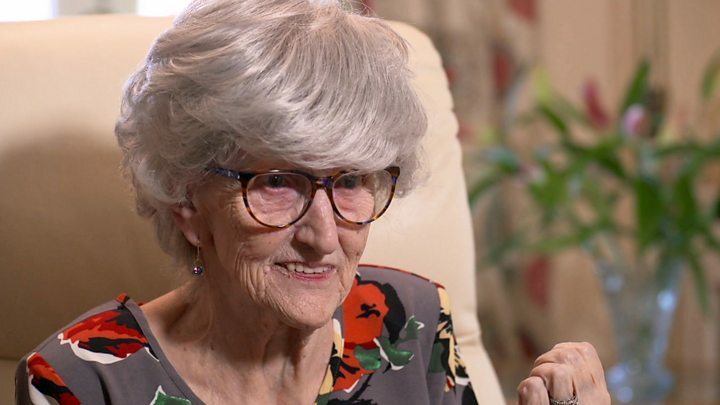 She has been telling her story as the NHS celebrates its 70th birthday. When the NHS was created it was the first time anywhere in the world that completely free healthcare was made available on the basis of citizenship rather than the payment of fees or insurance. Celebration events are taking place across the UK, including services at Westminster Abbey and York Minister. The NHS logo will also be projected on to famous landmarks including the Eden Project in Cornwall, the Houses of Parliament and the London Eye. There will also be thousands of NHS-themed public tea parties taking place. In a reception at Downing Street on Wednesday night for health staff, Prime Minister Theresa May praised the longevity of the NHS. “In my line of work there are not many ideas from 70 years ago that are unquestionably supported today, but that is undoubtedly the case with our National Health Service,” she said. Meanwhile, Game of Thrones TV star Emilia Clarke has also been paying her own tribute to the NHS. 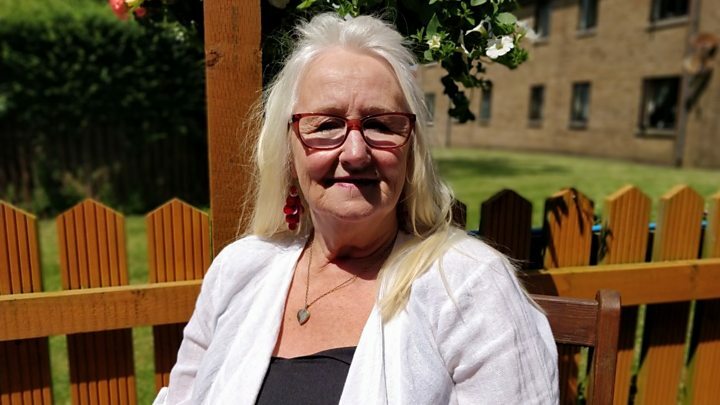 She has accepted the position of an ambassador for the Royal College of Nursing – something she said she was inspired to do following the excellent care her dying father received two years ago. She watched on as staff comforted him and then her and is now full of praise for the “awe-inspiring skill” and “emotional intelligence” they showed. “I know my dad received the best care and medical support. “To see family members suffer and then to see nurses selflessly care for that person means so much. “After a panic at hearing bells and buzzers I didn’t understand, the hug that came my way and the words that accompanied it both reassured and comforted me. Thursday is a time for celebration for the health service. But it also comes at a crucial point. The service has been struggling to hit its targets – it has been missing the key targets for cancer, A&E and hospital operations recently. There are also significant staff vacancy rates – one in 12 posts are not filled in England. Last week, an independent report produced for the BBC by leading academics warned the NHS was lagging behind other countries when it came to treating common, life-threatening illnesses, such as cancer and heart attacks. But the government maintains it is responding to the challenge. Ahead of the 70th anniversary, the government announced the NHS budget in England would increase by £20bn a year by 2023, with extra funding also made available for the rest of the UK.